East Aurora, NY | March 28, 2018–Astronics Corporation (NASDAQ: ATRO), a leading provider of advanced technologies for the global aerospace, defense and semiconductor industries, announced today that its wholly owned subsidiary, Astronics Advanced Electronic Systems (AES), received its first line-fit certification of the new EmPower® UltraLite in-seat passenger power system on a Boeing 737 Max 8 aircraft for TUI Airlines. The EmPower UltraLite system is a new, lightweight architecture providing high output USB power for passenger use without the need for a power supply unit installed at each seat group. The result is a lower cost, lower weight system over traditional, seat- group-based architectures. launch customer for our revolutionary new UltraLite system, and are confident that our in-seat power solution will deliver an excellent passenger experience. The installation went flawlessly and the system is performing well,” said Dennis Markert, Director of Business Development, Astronics AES. For more than 20 years, Astronics has developed and delivered intelligent power management systems to the world’s aerospace industry. 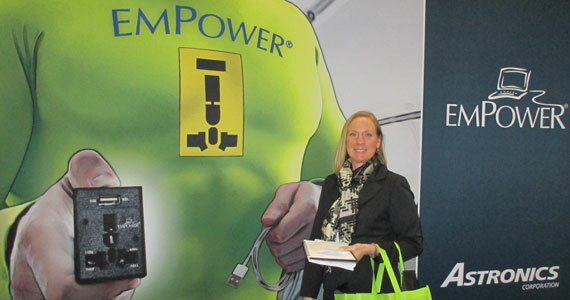 With more than one million outlet units delivered, the patented EmPower in-seat power system is currently in service with over 230 airlines. Located in Kirkland, Washington, Astronics AES is an industry-leading manufacturer of aircraft electrical power systems, including power generation and distribution. For more details on aircraft electrical power, visit Astronics.com. Bluebox, Astronics, Gogo, and More! 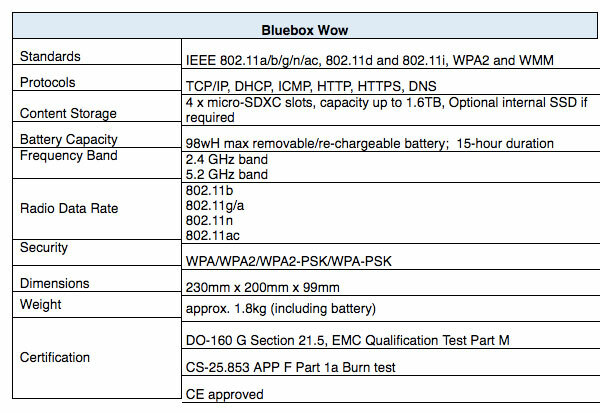 Lets’ get started and this week we feature a new product from the Bluebox folks with a link to the spec sheet at the end. Astronics Corporation (NASDAQ: ATRO), a leading provider of advanced technologies for the global aerospace, defense, and semiconductor industries, announced that it completed the acquisition of substantially all of the assets of Telefonix Inc. and a related company, Product Development Technologies, LLC, (together as “Telefonix PDT”) for approximately $104 million in cash on December 1, 2017. The acquisition was financed with Astronics’ line of credit. Astronics previously announced that it had entered into a definitive agreement to acquire Telefonix PDT on October 27, 2017. Gogo (NASDAQ: GOGO), the leading global provider of broadband connectivity products and services for aviation, announced today that airline industry veteran Mark Schwab has joined Gogo as senior advisor of international sales for the company’s commercial aviation division. Schwab will provide guidance on strategic business development initiatives and assist Gogo’s international sales team in its efforts to win new airline customers around the world. He previously served as Chief Executive Officer of Star Alliance Services GmbH, the global airline alliance. Prior to leading Star Alliance, Schwab held numerous senior positions at United Airlines, US Airways and American Airlines, spanning over 42 years in commercial aviation all around the globe. He has spent most of his career outside his home country, the United States. In addition to his advisor role at Gogo, Schwab is currently a member of the board of the Greater Toronto Airport Authority (GTAA) in Toronto, Canada. The A330-800 complements the A330-900, the largest member of the A330neo Family. With its 242-tonne Maximum Take-Off Weight (MTOW) as base variant, the A330-800 can operate routes of up to 7,500nm and with the recently launched 251-tonne MTOW variant the aircraft can operate ultra-long-range routes of up to 8,150nm. Together, the A330neo variants are part of the world’s most comprehensive twin-aisle, twin-engine aircraft family from 260 to over 360 seats which includes the A350 XWB Family. Building on the success of the A330-200 with over 600 aircraft in operation, the A330-800 brings new generation economics and comfort in addition to unprecedented range to the 250-seater aircraft market. Together with the larger 300-seater A330-900 they share 99% commonality, having the same airframe, engines and cross crew commonality. This gives operators great flexibility to use either aircraft in their fleet according to network needs in size and range. Both of these widebody aircraft incorporate new Rolls-Royce Trent 7000 engines, zero-splice nacelle, titanium pylon, new wings and new Airspace by Airbus Cabin. The most visible new features of the A330neo wings are the specially developed curved wingtip Sharklets – which draw on A350 XWB technology, extending the wingspan to 64m, providing state of the art aerodynamic characteristics. In another Airbus story, China Airlines of Taiwan has become the second airline to join a programme to use a blend of traditional and sustainable biofuels to power aircraft for delivery flights from Airbus. The aircraft involved is the tenth A350-900 for China Airlines, which left the manufacturer’s delivery centre in Toulouse today for its new home in Taipei with a 10 percent blend of sustainable jet fuel in its tanks. The sustainable fuel option for delivery flights has been developed by Airbus in association with Air Total, the aviation subsidiary of the global energy operator. In order to stock the eco-friendly product, Air Total has installed the first ever biofuel station adjacent to the Airbus delivery centre in Toulouse. A total of 21 aircraft have so far been delivered by Airbus since the facility was inaugurated in May 2016. In addition to Toulouse, Airbus is now working towards introducing the option for the use of biofuels for delivery flights from its facilities in Hamburg, Germany and Mobile, US. First deliveries from these sites are set to begin in 2018. The option will also subsequently become available from the company’s facility in Tianjin, China. Reflecting its strong commitment towards eco-efficiency, Airbus was the first manufacturer to offer its customers the option of delivering new aircraft with a blend of sustainable fuel. As part of its wider environmental strategy, the company Airbus intends to continue its efforts by collaborating with all stakeholders in the biofuels sector. Boeing (NYSE: BA) and Aerolíneas Argentinas today celebrated the delivery and commercial debut of the first 737 MAX airplane for the airline and for Latin America. The 737 MAX is the fastest selling airplane in Boeing history, surpassing 4,000 total orders to date. The MAX family incorporates the latest technology CFM International LEAP-1B engines, Advanced Technology winglets and other improvements to deliver the highest efficiency, reliability and passenger comfort in the single-aisle market. The Aerolíneas Argentinas MAX 8 is configured for 170 passengers and fly 3,515 nautical miles (6,510 kilometers). In case you have not heard, the US Senate dropped a tax provision designed for foreign airlines that could have generated some $200million over the next decade – obviously designed to supposedly protect US airline workers. We note that the description of airlines described fit some 14 countries and the Mideast carriers stood out. As it stands, airlines do pay taxes in their home countries but the so-called Isakson provision would have removed the “tax” if the airline in question’s home country receive fewer than two arrivals and departures from the US per week. The airlines argued the tax was a focus on Middle Eastern carries that receive some $50 billion over 10 decades subsidies from foreign from governments. An advance group representing other airlines and support “Open Skies” said the “tax” would also hurt a lot of smaller airlines. If you are interested in cabin electronics, you had better read this: 2017 Cabin Electronics: The Basics Still Matter | Connected Aerospace content from Aviation Week And, check out how you can send a message on a proper equipped airplane with Airtext for a nickel! It’s getting show time so here is the first product promotions we received. If your products will be showcased at APEX in California, let us know! Inflight Entertainment and Connectivity (IFEC) specialists IFPL will be showcasing their latest power solutions at APEX 2017 in Long Beach, California. 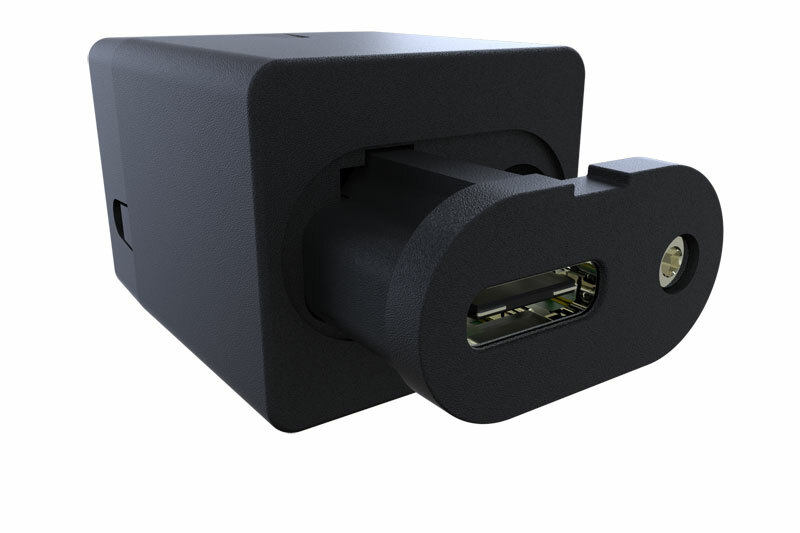 With new consumer devices adopting USB-C as standard, IFPL has actively engaged with its customers on how this technology can be applied to IFEC and how to transition from USB-A to USB-C, either with or without USB- Power Delivery (USB-PD). 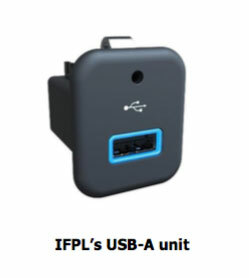 Along with its baseline USB-C Rapid Fit USB outlet that delivers up to 3A 5V DC, IFPL has developed a new USB power delivery unit that enables an existing 28V DC power supply to provide USB power delivery, therefore providing airlines with a simple upgrade from USB-A. USB power delivery is the new standard for consumer electronics providing up to 100 watts of DC power (limited to 60 watts on aircraft). This is more than enough to power a laptop, smartphone, games console or camera, whilst significantly reducing the requirement for airlines to provide the more expensive AC power solutions, especially in economy. This unit has been designed to seamlessly integrate into the seat and deliver high levels of reliability. Visitors to stand #134 can see IFPL’s new USB power delivery and USB-C outlet and discuss industry adoption of this technology. 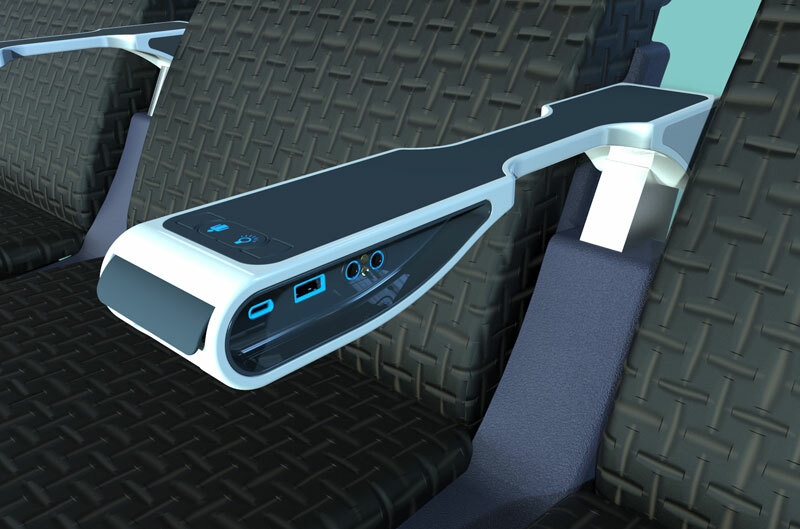 IFPL has announced its inductive charging unit that delivers wireless charging at the seat and once again these units have been designed to enable seamless integration into the seat. IFPL will show supporting design concepts for seatback PED holders and trays that provide USB and/or inductive charging. 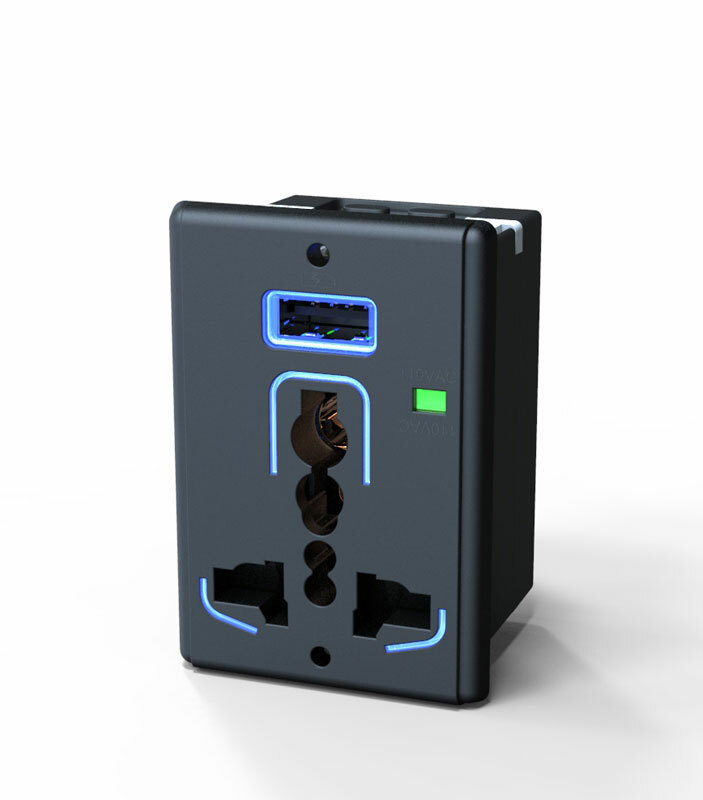 We have enhanced the capability of our existing 1225 unit, the 110V AC Universal Remote Power Outlet, with the addition of a high-power USB-A socket and will be demonstrating the new 2011 unit on the stand. In addition, we have been working with key industry partners to develop a new range of power solutions that focus on ensuring ergonomic and aesthetic seat integration. The combined approach has delivered a system that maximizes the use of the physical space of the seat and seamlessly incorporates the USB outlet into the seat arm. The result is an attractive installation of a fully integrated system that has no impact on passenger legroom. 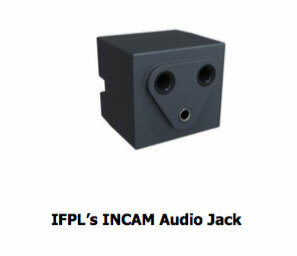 IFPL’s Integrated Noise Cancelling Audio Module (INCAM) technology allows noise cancelling in the jack rather than the headset, allowing all passengers to enjoy noise cancelling technology with the simple addition of a low-cost microphone in the headset. This keeps the headset cost low whilst providing a significantly enhanced audio experience for the passenger. IFPL’s patented MagSignal technology virtually eliminates CID. The headset can be pulled from any angle and simply detaches from the magnetic plug without damaging the jack or the headset. This extends the life of the headset and the jack and avoids CID. 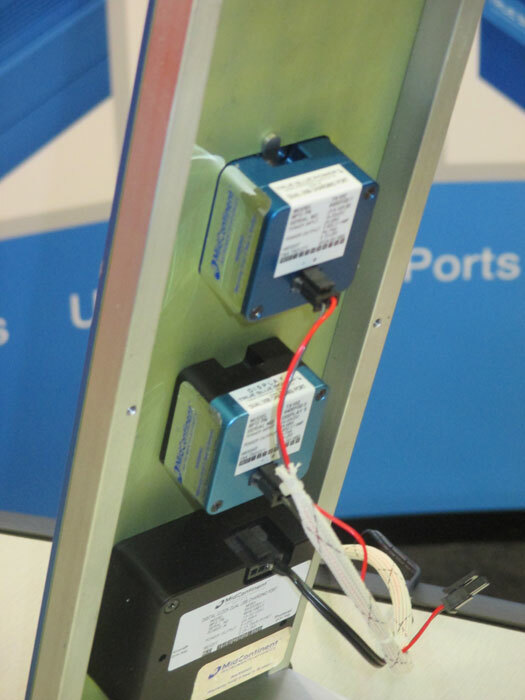 The floating magnets ensure a signal is maintained at all times during turbulence and vibration. IFPL’s Push Through Pin technology ensures the jack does not have to be replaced if a pin gets broken in the jack. The pin can simply be pushed through and collected in a reservoir at the back of the jack. This reservoir has been known to hold as many as 12 broken pins. 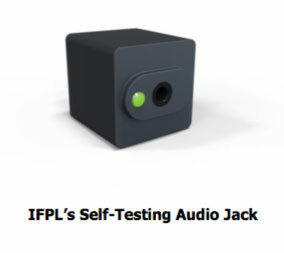 IFPL has designed their Self-Testing technology to enable problem jacks to be identified and fixed rapidly, ensuring high availability. The clever design of the LED being powered by the audio makes this a suitable jack for retrofit, as no extra power is required. The maintenance staff simply need to send a high-frequency audio tone through the existing IFE system, then walk through the cabin and check the jacks at a glance. 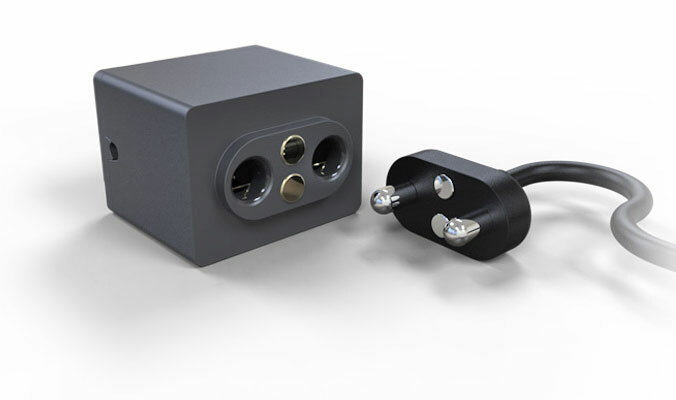 IFPL has deployed this technology in a wide variety of audio jack solutions and neatly demonstrates why IFPL are renowned for providing industry leading audio jacks. IFPL leads the way when it comes to deploying contactless Near Field Communication (NFC) payment systems on-board aircraft, with global OEMs and airlines now using IFPL’s technology for seat back in-flight retail and customer personalization. APEX 2017 will see IFPL demonstrate its new NFC ‘Pin-On-Screen’ solution that enables high- value off-line transactions by removing the current low-value payment barrier. This step change will allow airlines to expand and sell high-value items, therefore increasing ancillary revenues. This has the ability to completely change the dynamic of the IFE systems value proposition, as passengers now have a combined entertainment and retail platform allowing them to browse, order and pay at their own convenience. Combine this with connectivity, big data, passenger personalization and broader distribution channels to deliver to the gate or at home, and the airlines have the ability to develop significant new revenue streams. We will be showcasing our innovative new high value NFC payment unit that is integrated into a leading seat as part of the IFE. This will reflect their ability to customize peripherals to support the design language, aesthetics and ergonomics required for true IFEC and seat integration. As always, IFPL’s established range of IFEC products and solutions will be on display and the expert team from IFPL will be on hand to discuss any requirements that visitors to APEX 2017 may have. 2Ku will give Alaska’s guests a seamless experience across their Boeing and Airbus fleet. Alaska will be disclosing pricing closer to service launch. Gogo’s 2Ku service will be installed on Alaska’s Boeing 737 aircraft beginning in the first half of 2018, with 40 to 50 planes expected to be completed by the end of the year. The remainder of Alaska and Virgin America’s mainline fleet will be fully satellite-equipped by early 2020. In addition to installing 2Ku, Alaska also announced today that it will now offer free chat with Gogo Messaging Pass on flights operated by Virgin America – a benefit already available to guests flying on Alaska. With Free Chat, guests flying with Virgin America can now use iMessage, WhatsApp, and Facebook Messenger on their smartphones to send greetings from 35,000 feet – for free. Alaska was the first U.S. airline to offer a dedicated Free Chat service and, since its introduction, more than 1 million guests have used it to stayed connected on their Alaska flights. East Aurora, NY | August 2, 2017– Astronics Corporation (NASDAQ: ATRO), a leading supplier of advanced technologies and products to the global aerospace, defense, and semiconductor industries, today reported financial results for the three and six months ended July 1, 2017. Earnings per share for prior periods are adjusted for the 3 for 20 (15%) distribution of Class B Stock for shareholders of record on October 11, 2016. Results include the acquisition of Custom Control Concepts (“CCC”) on April 3, 2017. One More Week To Go! AIX 2017 April 4 – 6 – Hamburg! We have a lot to review this week so, for the sake of organization, let’s cover it all alphabetically. Here we go! Below are a couple of product offerings that Astronics AES will be exhibiting at AIX Hamburg at Stand 3B30. 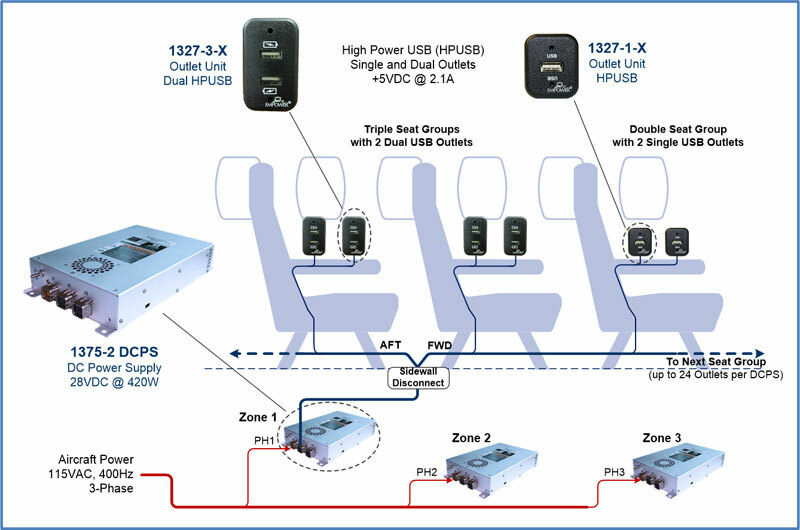 The Astronics EmPower® USB “UltraLite” System is an innovative passenger In-Seat Power System (ISPS) architecture that provides High Power USB (HPUSB) using zonal power converters. This architecture is a departure from the traditional seat-mounted power supply. The result is a system providing lower cost, lower weight, and less impact on passenger foot and baggage space when compared to traditional seat based architectures. IFPL are excited to be demonstrating their high value contactless payment PIN on screen system at AIX 2017 on stand 2C10. Using the IFPL NFC payment system, passengers can quickly and securely buy not only low-value items such as beverages and food, but higher-value items including perfume, luxury gifts and high-end audio technology. The higher-value purchases are enabled by using an additional card holder verification method to allow high value transactions; the contactless limit is usually around $30 (depending on the card issuer). By utilizing PIN on-screen technology, IFPL is able to offer this step change benefit to airlines and enable them to increase their ancillary revenue. IFPL use a secure kernel embedded into the Trusted Execution Environment (TEE) that is located in the processor of the seatback monitor. This offers the same level of security as the traditional Point of Sale (POS) terminal, that enables both online and offline transactions. Using the IFPL Near Field Communication (NFC) contactless payment module, the TEE payment solution allows airlines to process compliant EMV (EuroPay, MasterCard, Visa) transactions without compromising confidential cardholder data or PIN. The PIN on screen payment system is one of our latest innovative products that IFPL will be demonstrating at AIX 2017. At this year’s Aircraft Interiors Expo (AIX) in Hamburg, Lufthansa Systems is presenting the new generation of its multi-award-winning BoardConnect wireless in-flight entertainment (IFE) platform, with new features and a new user interface. Visitors can also find out about the mCabin product family, which offers new functions and additional apps to drive the digitalization of crew processes. Visit Lufthansa Systems from April 4–6 at AIX at stand #2E24. BoardConnect enables passengers to stream content from an airline’s entertainment offering to their own tablets or smartphones during a flight. The BoardConnect product suite is available in three hardware versions. In addition to the permanently installed classic BoardConnect IFE solution, there is also the flexible BoardConnect Portable version. It combines all of the technical components in a single device which can be installed quickly and easily on any aircraft. 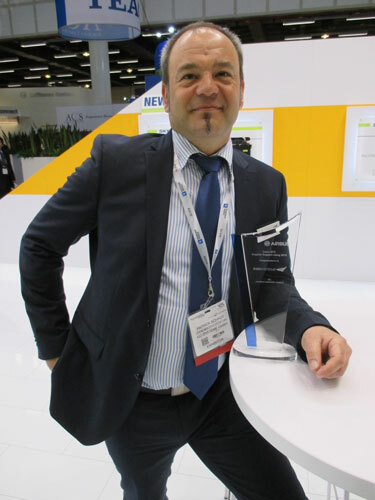 BoardConnect Portable received the Crystal Cabin Award at AIX 2016. 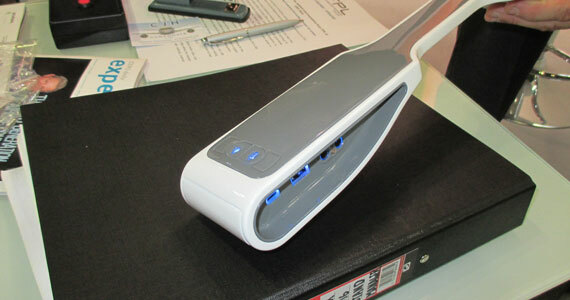 The third option available is the BoardConnect Plus connectivity solution. Lufthansa Systems is responding to the growing demand for new on-board digital services by further developing its software – with the new BoardConnect 5.0, which runs on all three versions of the system. BoardConnect 5.0 features a fresh design with a new user interface and an open platform architecture. Lufthansa Systems is also presenting new products from its mCabin suite at AIX. Passengers and crew members now expect digitalized services on board like those they use on the ground – but many airlines haven’t reached this stage yet. Mobile solutions for the cabin crew optimally support airlines of all sizes and business models in the digitalization of their on-board processes. mCabin/Library+ brings together all crew documents in a digital form. This includes crew manuals and airline-specific information. An easy-to-use document management system also keeps the documents up to date and facilitates the search for specific information. The mCabin/Messenger service connects an airline’s cabin crew and ground staff based on their respective functions. This enables colleagues to communicate even if they don´t know each other by name. mCabin/CityGuide is an exclusive travel guide platform for crews with local information on all of an airline’s destinations, including organizational details about layovers such as contact details, crew hotels and pick-up times, as well as personal tips from the crew relating to excursions and restaurants, for example. P3 aero systems has developed an outstanding set of services and methodology which, for the first time ever, will allow the complete analysis, simulation, testing and optimization of wireless networks within commercial aircraft cabins already during the early phase of cabin definition. P3 aero systems combines P3’s 20 years of global expertise in both fields of aerospace and telecommunication industries. Once being given an early configuration and layout, P3 aero systems can reliably model the wireless cabin and the potential risk of interference much prior to the aircraft delivery. For that matter wireless networks such as IEEE/Wi-Fi (2.4/5/60GHz), BT (2.4GHz) and 3G/LTE/5G were evaluated in relation to performance requirements, user functionalities and passenger experience. P3 has become a global player in both fields of defining, testing and improving mobile communication networks in the aviation industry coupled with global STC capability through part 21J design organization approvals held, enabling also advisory and technical solutions for a range of aero products. 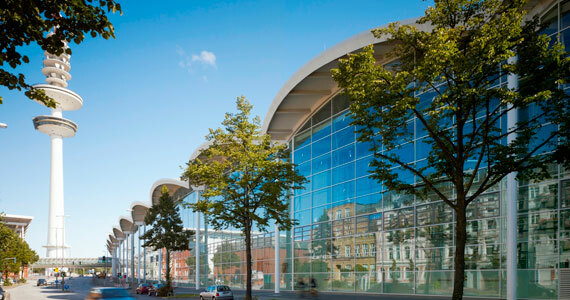 P3 will located be at stand 2C50 and in the IFEC zone. At Hamburg AIX 2017, Vision Systems will unveil a new release of its IFE solution called Visi-Stream, that ensures a high passenger satisfaction and ancillary revenues. It comprises Wi-Fi AVOD with a rich and varied content including movies, music, games, daily press, extensive tourist information and ticketing. Advertising can be global and local, and priority data flows for safety videos put the tablets on hold. Options include broadcast or connectivity as well as remote diagnosis, software and content updates via a ground platform. 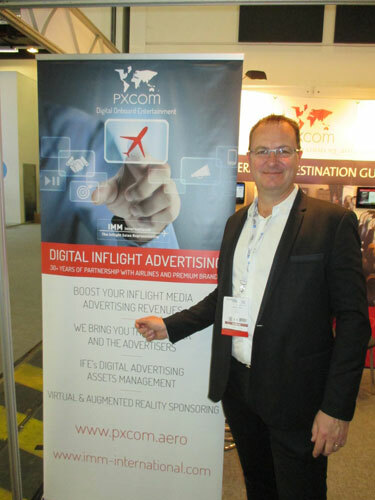 The IFE manufacturer has decided to integrate XPlore by PXCom, the end-to-end solution that enables digital content management on the ground, and automatic roll- out on the onboard servers. Wireless IFE, bringing Wi-Fi accessible audio video on demand content in flight Venue™ high-definition cabin management and entertainment system that delivers a wide range of features and technology to satisfy the most discerning passengers Airshow® 3D, the industry’s most widely used and award-winning moving map to keep passengers informed throughout their flights Passenger Services System (PSS), a lightweight, low-cost reading light and cabin crew call system with optional USB charging port AirVueTM interactive, a touchscreen kiosk designed to provide passengers with wayfinding, news, weather and other information as they move through the airport and beyond A new electronically scanned array (ESA) antenna design supporting extreme high throughput (EHT) and global coverage in a smaller, lighter and lower profile package. Located in Hall B2, Booth # 2D70 Telefonix PDT will be highlighting a number of product feature enhancements at this year’s show, including product and certification updates to the company’s Summit line of IFEC hardware. True Blue Power’s TC280 AC-to-DC Converter is quickly gaining popularity on European airlines. The TC280 is currently installed on Airbus A320, Boeing 767 and Boeing 757 aircraft. The highly efficient converter is designed to deliver enough energy to power electronic equipment throughout the aircraft, including in-seat, cabin and cockpit power applications. The TC280 produces 280 watts of power from an aircraft’s 115 VAC input. The converter is engineered to run cooler and features a fanless design delivering energy and weight savings. Installation is convenient, as the TC280 can be mounted in the floor or cabin wall. There is a great deal of focus on passengers’ ability to keep their Portable Electronic Devices (PEDs) fully charged during flight. True Blue Power’s line of high power and dual USB charging ports allow passengers to stay fully charged and connected during their flight. Débuting at Aircraft Interiors will be VT Miltope’s 802.11ac Wave 2 wireless access point. Wave 2 uses the available 5 GHz bandwidth more efficiently, providing passengers and airlines with significant improvements in overall data rates (up to 3.6 Gbps using 4×4 MIMO) and the ability to transmit simultaneously to multiple users. With wireless data rates climbing well into the Gigabit range, the opportunity to support airline wireless IFEC ambitions will certainly be improved. 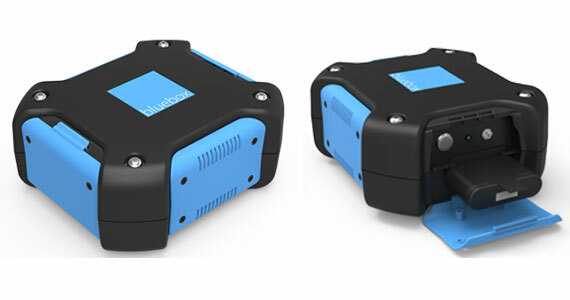 Combining Wave 2 with the capabilities of CHT (Cognitive Hotspot Technology) used in VT Miltope’s current nMAP2 access point will keep VT Miltope at the leading edge of wireless products ideally suited for cabin environments. 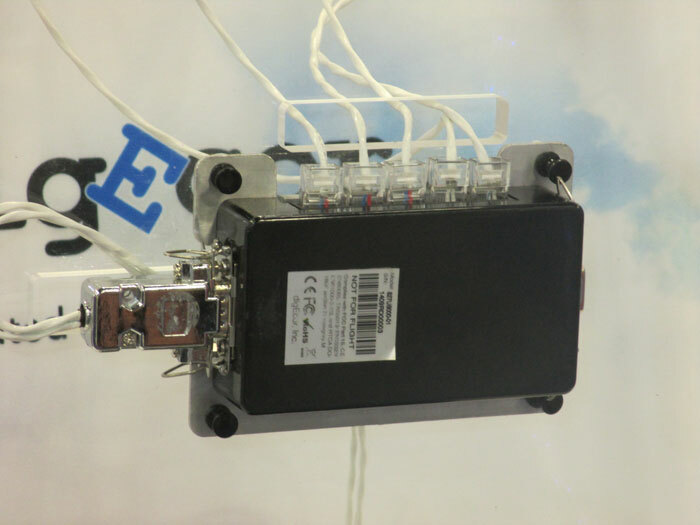 In addition, VT Miltope will be displaying its ground connectivity product, cTWLU, featuring 4G LTE, 3G cellular as well as 802.11a/b/g/n and ac. The 2 cellular LTE radios provide global coverage. cTWLU brings cost effective aircraft to ground communications to the aircraft with the goal of eliminating “sneaker net” and paper based approaches and enabling the internet of Things (IoT) to aircraft. cTWLU has already received certification approval in 2016 and is currently supporting airline operational data. Typical applications include: EFB connectivity, FOQA data, eTechlog, eCabin logbook, weight and balance download, aircraft health monitoring, and may be used for IFE multimedia refresh. APEX (Airline Passenger Experience Association), a four-decade old international airline trade association, called for immediate government-approved security solutions for the airline electronics ban announced this week by the United States and United Kingdom. IATA calculations indicate 393 flights per week impacted by the electronics ban. By APEX load-factor calculations, this translates into more than three million affected airline passengers per year. With airline and government coordination, APEX believes that solutions may be rapidly implemented by airlines to further increase security and allow personal electronics on-board. APEX believes that without viable solutions provided to airlines, the electronics ban may spread well beyond the intended scope. Since the existing security scope includes individuals with travel privileges to the U.S. and U.K., these same individuals could connect via other airports where on-board personal electronics are not banned. AirAsia has contracted Thales to provide long-term repair-by-the-hour support for the avionics systems Thales and its ACSS joint venture with L3 Aviation Products will provide for the 304 Airbus A320neos the Asian low-cost carrier group has ordered. Thales will equip AirAsia’s 304 A320neos–deliveries of which began last October–with its TopFlight flight management system (FMS), along with the Thales/ACSS T3CAS Surveillance platform. ACSS (Aviation Communication & Surveillance Systems) is 70 percent-owned by L3 Aviation Products and 30 percent-owned by Thales. East Aurora, NY | June 23, 2016– Astronics Corporation (NASDAQ: ATRO), a leading supplier of products to the global aerospace, defense, and semiconductor industries, today announced the newest EMPOWER® in-seat power system from wholly-owned subsidiary Astronics Advanced Electronic Systems (AES) has been selected by three major airlines in Asia for installations scheduled through the 2017 to 2021 timeframe. These recent awards will place in-seat power in more than 230 additional aircraft serving the Asia Pacific region. The installations, valued at more than $16 million, will be in Boeing 737, 737-800 & 737 MAX, Airbus A320 and Bombardier CS300 aircraft. For nearly 20 years, Astronics has developed patented, intelligent power management systems. The patented EMPOWER® System is currently in service with over 190 Airline/OEM customers at more than 900,000 seat locations. We continue this week with some interesting people and products we saw during AIX in Hamburg at Astronics and Rockwell Collins. When you were at AIX you surely would have seen the latest ‘lightweight’ inseat power system from the folks at Astronics. What really caught our attention was the weight of the ‘Direct Current Power Supply’ itself – but we will save that data for the Astronics spokesperson, Ken Adwan, Senior Business Development Manager, who told IFExpress: “The DCPS is actually capable of supporting (30) USB outputs operating at 2.1 Amp simultaneously. The zone-based DCPS, which provides DC power to the seats weighs in at 3.8 lb. (nominal). 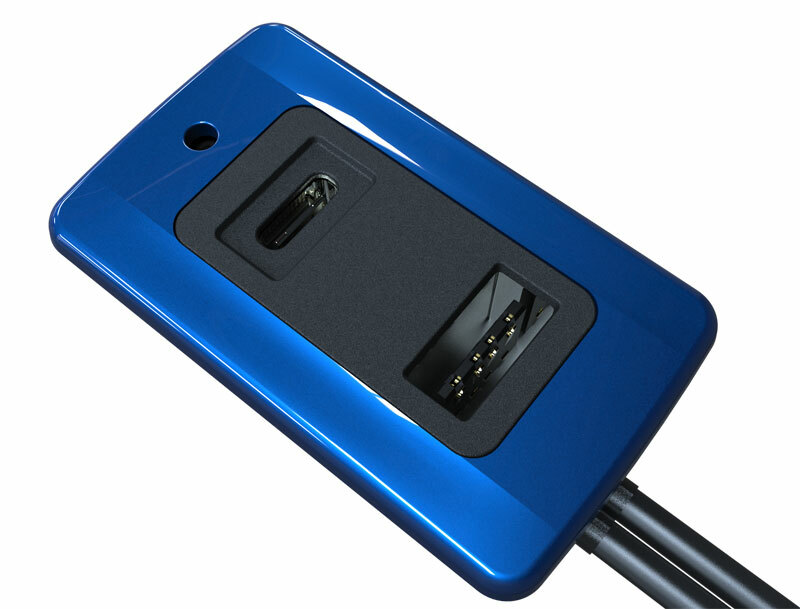 The result is that a typical narrow body system, providing (175) total High Output USB Power ports to the passenger seats will have a shipset weight and price that are 30% to 40% lower than a traditional seat-based power supply architecture. That system would be comprised of a total of (8) zone-based DCPS units.” (Be sure to check out the high level system graphic for the USB UltraLite system and data sheet for the P/N 1375-2 DC Power Supply Unit (DCPS).) What really caught IFExpress’s attention was the statement on the data sheet: “Power conversion efficiency greater that 85%,”…and that has to be some kind of record for an airborne AC to DC converter. Typically they run about 80% or less! “Hi there, I’m Jeff Sare” was our first introduction to the new Vice President, Sales & Marketing Air Transport Cabin Solutions Commercial Systems at the Rockwell Collins booth. IFExpress was told: “We were really impressed with Jeff when he was a consultant to Rockwell Collins and we brought him on board to help out the IFEC efforts. Jeff brings a wealth of industry knowledge about in-flight entertainment and connectivity solutions, an area of growing interest for airlines to keep up with fast-changing passenger requirements,” said Scott Gunnufson, Vice President, Commercial Sales, Marketing and Support at Rockwell Collins. Further, from the Rockwell Collins news release about Jeff; “For more than two decades, Sare has served in a number of leadership roles in the air transport in-flight entertainment (IFE) and connectivity marketplace, from IFE manufacturers and connectivity providers to airline marketing. 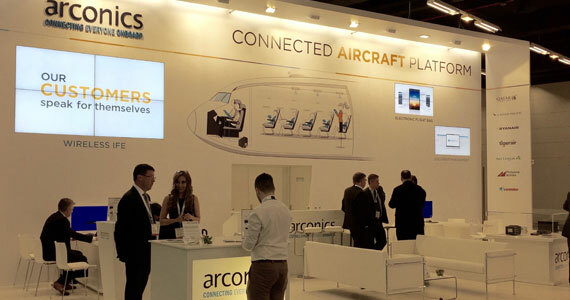 In his new role, Sare will lead a sales and marketing team focused on Rockwell Collins’ complete portfolio of PAVES IFE and connectivity solutions that meet the passenger engagement needs of any airline, including seat-centric IFE, broadcast and wireless IFE, high-speed broadband connectivity, moving map and passenger services systems,” stated the company. We note, Jeff is a very pleasant, easy to talk to person and we encourage folks in our industry to say hello. “Rockwell Collins’ inseat video has gone into service line fit at both OEMs. In-seat availability is running near 100%. In fact, Biman Bangladesh launched in late November 2015 and they are flying at 99.98% – the .02% was a pinched wire,” said Sare. We also asked about IFE in the aviation ecosystem and Mr. Sare went on: “There are two business case studies worth mentioning: What Apple did was to build an entire ecosystem that explained their vision for the iPhone and what it could do – think apps here,” he noted. “Further, Tesla is doing the same in the automotive industry.” The company sees that solution, and Jeff implied that Rockwell Collins will take advantage of their IFE solution, and with their acquisition of ARINC, will leverage the aviation communication platform. He went on to say: “There are fourteen thousand commercial aircraft, some five thousand business jets, one thousand airports and some three hundred and sixty airlines in this environment… Rockwell Collins sits in the middle of this aviation ecosystem.” We get it! 4. A robust and flexible network that pairs bandwidth to manage information across the aviation ecosphere with the necessary security to keep our passengers and our airspace safe. 5. A future airspace that leverages the flow of shared information to address the congestion of today with a new model of aircraft and airspace management. Principle 1. Match the Right Data With the Channel. Principle 3. Make the Best Use of Data. Principle 4. Peace of Mind is Paramount. They go on: “In this environment, security is essential Today, private aviation networks like those from Rockwell Collins are outfitted with multiple firewalls and security mechanisms to ensure that the security of critical communications is airtight, and that policies and protections align with IATA security rules and mandates. As we explore new channels of communication to meet the needs of the information age, we must ensure that they can support those same levels of security at every moment of transmission.” We couldn’t agree more. In conclusion, Rockwell Collins notes: “In aviation’s information age, an ever-increasing volume of data streams across the sky and around the earth. Developing faster ways to transmit, store, process and access that information – leveraging the latest ground- and satellite-based communications technologies – will be necessary to ensure our industry can take full advantage of the opportunities ahead.” Stay Tuned In on this one as aviation data will be taking a big uptick of storage and connectivity in the future… for almost every reason! If you have not been following TMF Associates Blog, you might start here: TMF Associates blog » The exploding inflight connectivity market? If you are planning on attending EXPO Asia and APEX in Singapore at the end of October, be sure to check out the ‘View Location Map‘… and bring your credit card because the Ferrari dealership is a short walk away! If you are in charge of airline food, you probably want to see what foods are trending in favor and declining. Here is a good source of info: Google Food Trends Report. And yes, it might be true in your kitchen as well! I wonder if Airbus also invested in BOC’s aircraft leasing firm? Is this the cost of doing business, i.e. selling airplanes, in China? 1. China will become the “single-most important market” for plane-leasing companies over the next five years, Domhnal Slattery, chief executive officer of Dublin-based lessor Avolon Holdings Ltd., said in an April Interview. Here is the big deal – CloudStore Wireless IFE is driven by the passenger experience, but it also features powerful backend functionality, including rich data analytics in near real-time, to support on-the-go commercial and service decision-making. Further, the product delivers improvements in the IFE content delivery cycle. Airline staff can publish their own content builds and prepare aircraft media: they no longer have to wait to import media from an integrator, and can update content on the platform without delays. Arconics shines in software development applications, and Mr. Reilly told IFExpress that the reason App development is a big deal is because each airline is different, and since the company is an experienced software developer, they are still a size that that allows flexibility – the message here is they are a software provider but because of their size they can provide different levels of service dependent on the demand. In Arctics case…one size fits all! 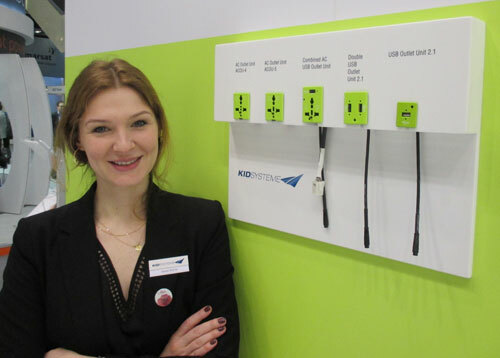 “Entertaining connected passengers” is KID-Systeme’s mission and ambition and at Aircraft Interiors Expo 2016 KID-Systeme featured SKYpower Combined, which is the latest iteration of SKYpower to help facilitate this goal. 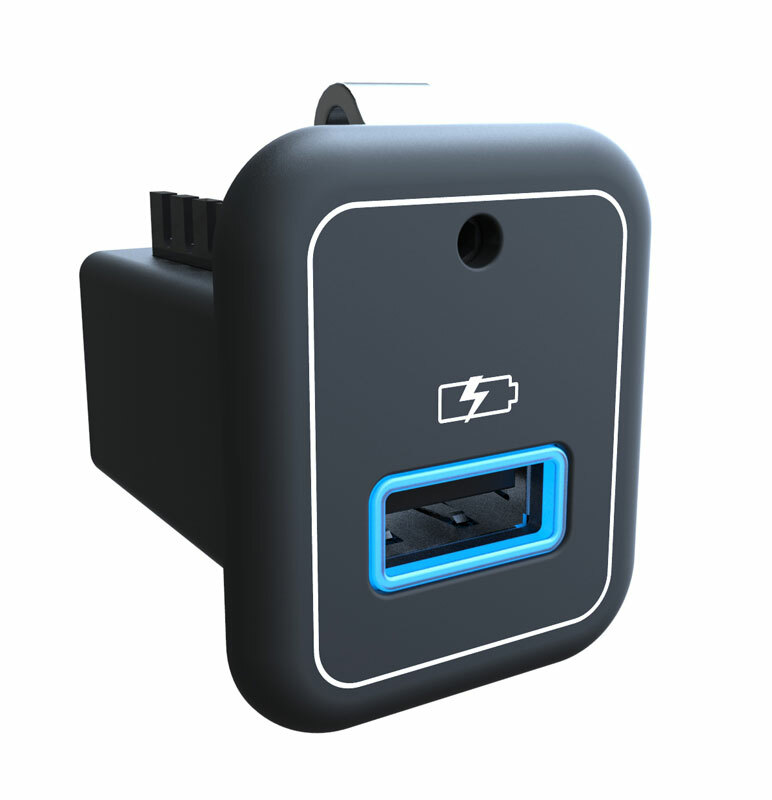 SKYpower Combined is an in-seat passenger power unit that allows the airline to select from the following outlet options: a combined 110-volt AC and a 2.1 amp USB power source in one outlet; a single 110-volt AC outlet; a dual 2.1 amp USB charge per outlet; or a single 2.1 amp USB outlet. There is a streamlined power box per seat group that is either mounted under the seat or on a seat leg. The product is designed to guarantee airline passengers fast and simultaneous power to use their tablets, smartphones and/or laptops inflight. Green production and a focus on economy are very important manufacturing elements to KID-Systeme. “SKYpower is made in Germany, which has strict stipulations for the manufacturing. Our production is based on economy of resources and an efficient logistical approach,” said Maren Muente PR & Communications of KID-Systeme. “As a result, SKYpower is a very green product. Minimal shipping distance is just one example of this eco consciousness. We call it the next generation of power.” SKYpower Combined is currently in product development with the first shipset to be delivered in fourth quarter 2016. The company also featured several concepts and project studies. One such study, Qi inductive seatback charging, was developed in conjunction with Recaro. 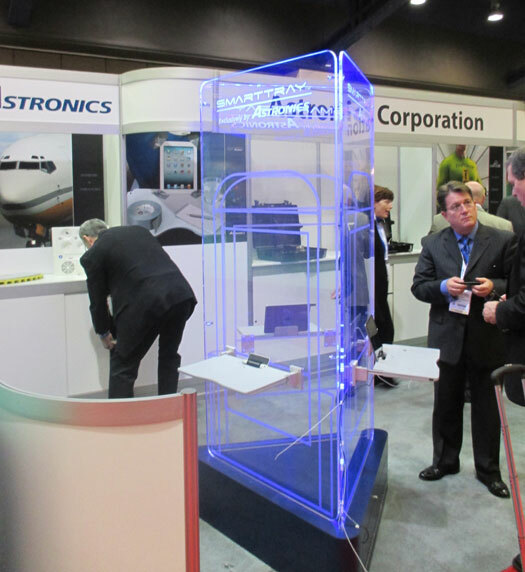 Another project study on display was “Watchdog” – an alarm mechanism that detected whether the airplane door was deactivated before the exit door handle is released. Watchdog is a preventive and reliable warning system with integrated motion detection. It is an easy ‘plug & play’ installation. The primary object of the product is to reduce the number of accidental evacuation slide deployments… a costly and embarrassing occurrence! KID was also duly proud of their 2015 Gold Performance Excellence Award from Boeing. The Boeing Company issues the award annually to recognize suppliers who have achieved superior performance. 107 of 530 suppliers received the Gold level of recognition. KID maintained a Gold composite performance rating for each month of the the 12-month performance period. “The Gold Award is a clear statement of our customer focused way of working. Rising from Silver to Gold status makes us very proud,” said Patrick Schrot. KID Systeme supplies SKYpower for the Next-Generation 737 and 757 single aisle aircraft, as well as, the 747,767, and 777 twin aisle jetliners. Today, users of mobile devices expect to be connected – always and everywhere – to work with, to communicate with, or just to be entertained. More and more, passengers bring and use their own devices onboard… and the aircraft industry is recognizing this need. To serve and provide power for personal electronic devices is becoming essential for every airline, but technology today is getting more complex, while the demand for portable device power increases constantly. So, in-seat power suppliers are faced with the challenge of scope and diversity, of multiple vendors, who often support different systems. In effect, this means not every outlet unit can serve sufficient power for charging – so there is a greater need for compatibility! With its intelligent SKYpower USB power product, KID-Systeme is offering one of the first compatible solutions which is already flying and proven on a many aircraft. The system supplies all standard marketable and USB-chargeable devices with constant maximum power. Primarily, passengers will benefit from fast charging time which translates to maximum use of their PEDs. Furthermore, due to innovative and advanced technology, USB power is provided directly from the outlet unit. Thus, there is a minimal supply line between outlet unit and power supply… so the passenger can use their own cable without any restrictions! One power system that serves all – the KID solution is the easiest way to provide maximum power and pave the way to satisfied passengers. As already mentioned “Bring Your Own Device” (BYOD) is becoming more and more essential for every airline in the world. Nowadays, passengers expect to be entirely entertained during flight. 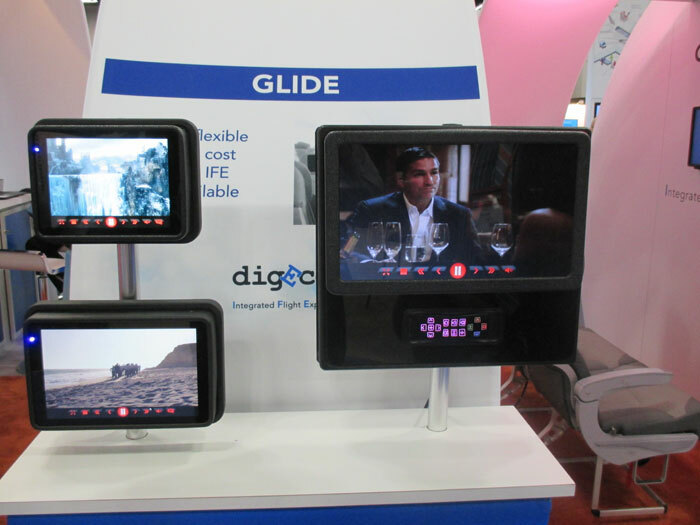 Aviation’s IFE industry is faced with an increasing demand for fast and compatible solutions for both in-seat media-tainment, and especially, for wireless portable IFE. Further, passengers prefer using their own personal devices like tablets, smartphones, and laptops to stream wireless media content onboard, so reports “Looking On IFE Trends”. We note that they also point out the emergence, and need for, wireless entertainment solutions. As a result of this increasing demand, KID developed a hardware solution based on the latest on-ground standards to provide high-speed WiFi for all personal electronic devices. With this latest wireless inflight solution, KID enables airlines to deploy an enhanced and optimized wireless distribution – much better than the one which is widely used on ground today. Airlines will also benefit from low cost of ownership and easy installation… all with the greatest product capability available today. Down Under and Up Here too! You have to like the Australians! 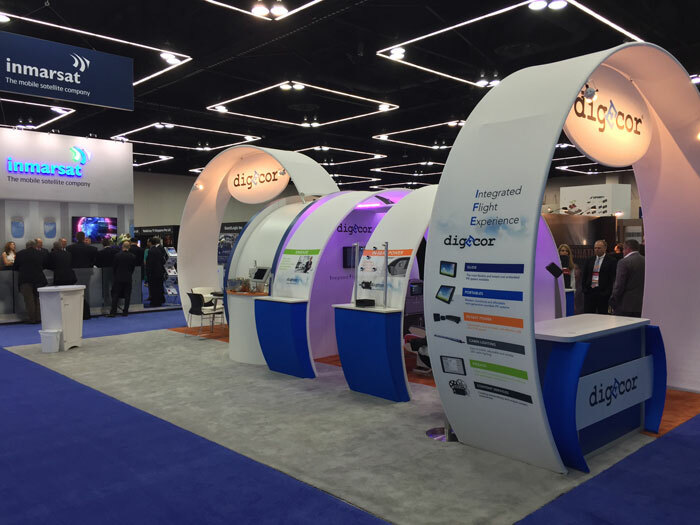 Accordingly, when we interviewed the digEcor team we walked away with a lot of information about the products, the people, and the purpose. Consequently, we thought our readers might like a bit of “down under” in IFExpress this week! 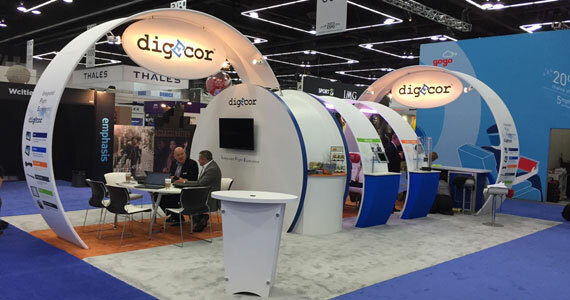 According to digEcor’s CEO, David Withers: “Yesterday (APEX opening day) was the best opening day for us at an APEX show… with a good, solid flow of airlines visiting our booth.” He also noted that the airline visitors must have found some interesting new products as they asked a lot of questions. And, after all, that is what trade shows are about. This also says a lot for the new, full offering from digEcor. 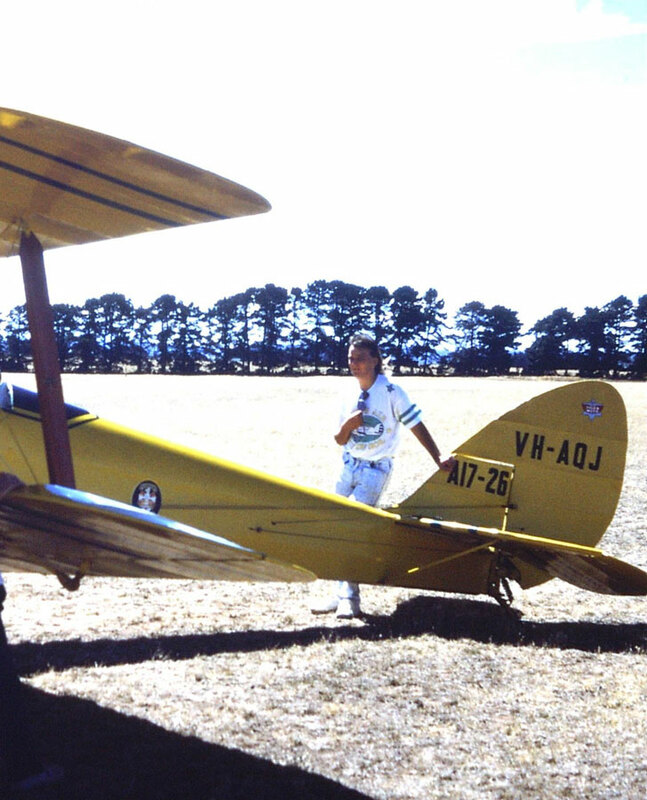 One of their goals has been to offer a complete ‘Integrated Flight Experience’, a favorite term of David’s for as long as we have known him. Partially, this is why they have developed LED cabin lighting, in-seat power, portable entertainment devices, GLIDE their embedded seat centric system, content services, and ENGAGE their crew management software (air and ground). 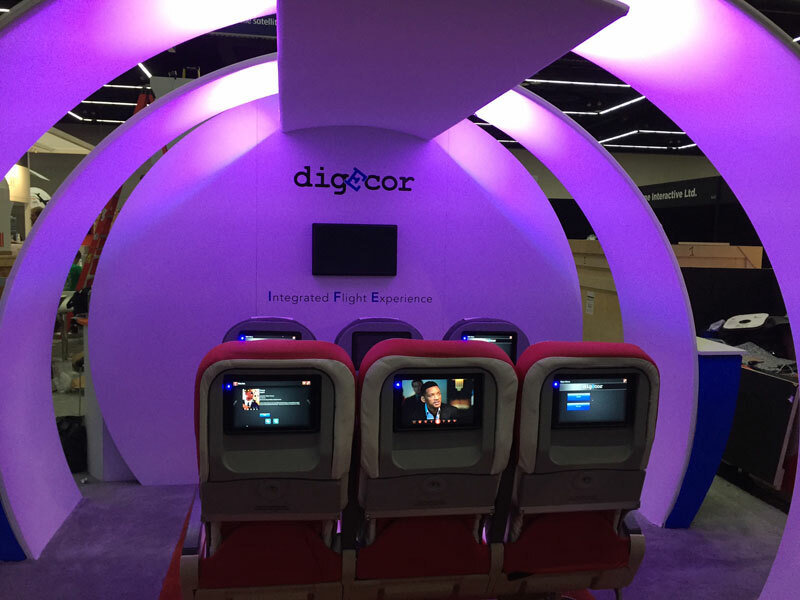 The booth display said it all… the complete Integrated Flight Experience. Let’s look at each one, and we note that each item is summarized on their website. Furthermore, the subtitle is ‘The Integrated Flight experience’ which says a lot more that the words themselves – digEcor is looking at ‘big picture’ integration and their products prove that. IN-SEAT POWER: In-seat power is available as 5V USB at a full 2.1amps for iPad charging and 110V for laptops (inseat power display image). CABIN LIGHTING: digEcor’s new LED cabin lighting solution is an easy, economical way for airlines to create a memorable flight experience. The solution is controlled by cabin crew, is easily installed and reduces power consumption. Passengers can access more than 4 billion colors through the GLIDE embedded IFE system and easily manipulate the color and intensity to create a restful space or enhance their brand association. ENGAGE SOFTWARE: This solution provides value to the customer, inflight crew and ground staff. It captures, reports, synchronizes and efficiently sends data in real-time across the entire customer journey. This empowers every member of airline front-line staff to deliver remarkable customer experiences every day. With three easy to use modules, ‘Cabin’, ‘Forms’ and ‘Ground’ it engages the staff in a quick, easy and manageable way. ENGAGE offers vast benefits to airline business including improved communication, proactive customer recovery, operational efficiency and streamlined reporting. CONTENT SERVICES: From selection, licensing, encoding, encryption, integration, quality control and delivery. 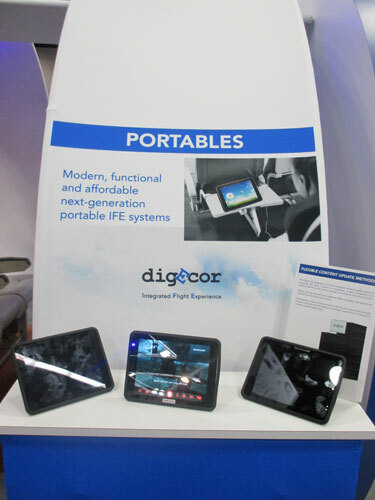 Whether or not airlines purchase their handheld or embedded solutions, digEcor wants to help deliver the most memorable entertainment experience. They can customize any needs around content for airlines with a full service turnkey solution or a de-bundled approach across the global network. More to the point, he told IFExpress that, “Every one of our product offerings is either certified or in the process of FAA certification!” David Withers and his teams, both in Australia and Utah, have got the right stuff. In fact the boss put it better than we could: “It never occurs to us not to go and do something.” If this year’s booth and products are any indication, they will not stop surprising this industry! 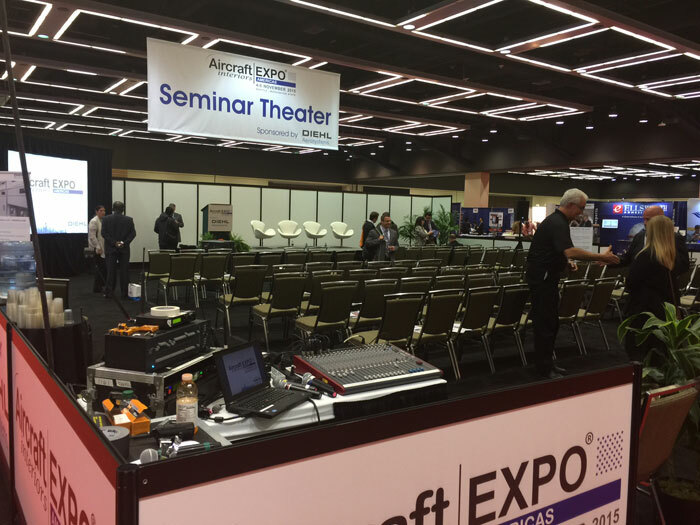 Perhaps one of the cleverest ideas to come out of Seattle last week at the Aircraft Interiors Conference was the floor layout… and it will probably be repeated. The AI folks placed the conference seminar stage and floor inside the exhibition hall and surrounded it with display booths . What really worked both days was the fact that your could tour the booths and if you saw a presentation that interested a floorwalker, it was easy to duck in. 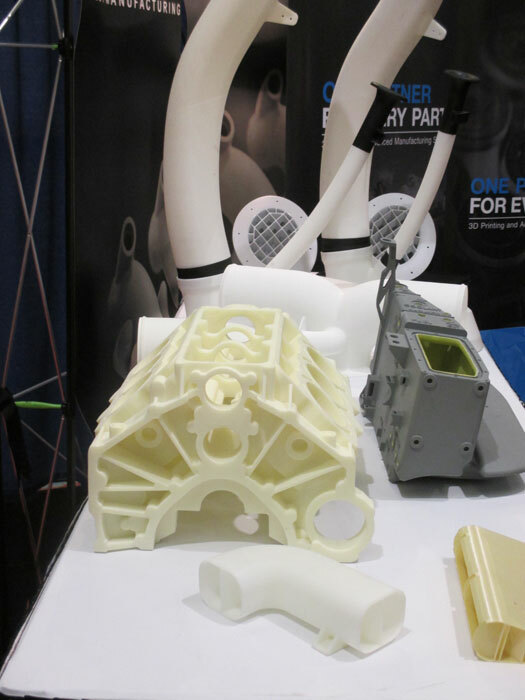 But beyond that, 3D printing was the big deal and there must have been 10 booths covering one phase of the process or another (here are some parts made by 3D printing). 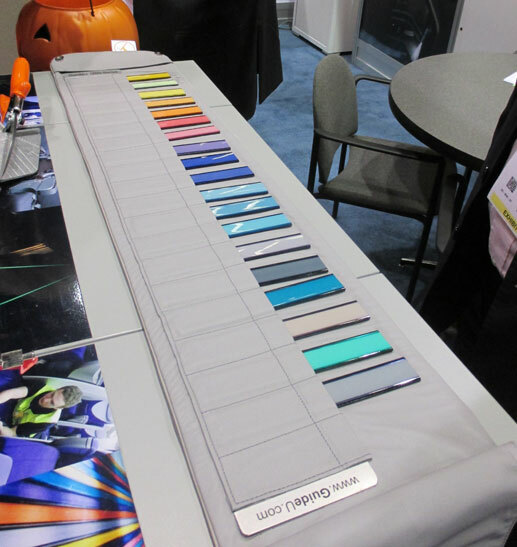 Further, the following technologies seemed to be in the forefront, seating related products, seats, thermoplastic products, cabin lighting, seating comfort products and technologies, plating (especially plastic), reflective technology, USB application technologies, precision machining, materials and mixing technologies, fabrics, NRC manufacturing, and a lot of technologies and products that IFExpress does not feature – mechanical engineers heaven. The newer gel honeycombed products are a real seat pleaser (pun intended) and we look forward to testing them on a flight – the secret? Simple, it’s silicone honeycomb with breathing holes in the cell walls. Great stuff! 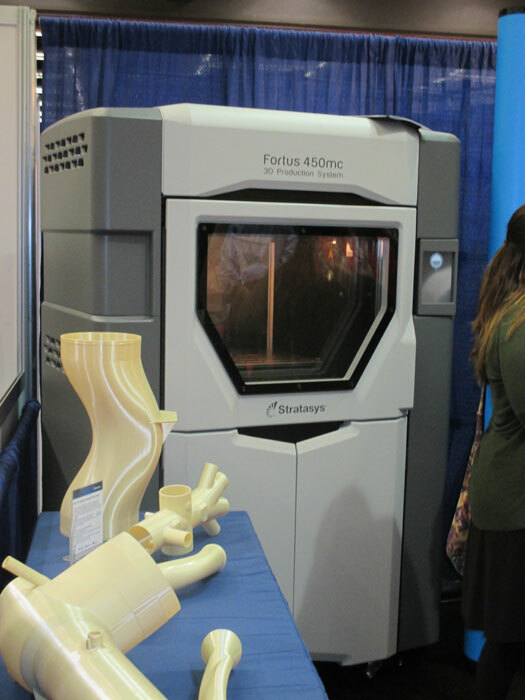 Another surprise were the 3D plastic printed products from Stratasys. They showed a line of ECS ducting that was 6” in diameter and promised a cheaper and better product than the older manufactured tubing. One company demonstrated their 3D printing capabilities by “printing” a ukulele body out of plastic, and it played and sounded quite well. 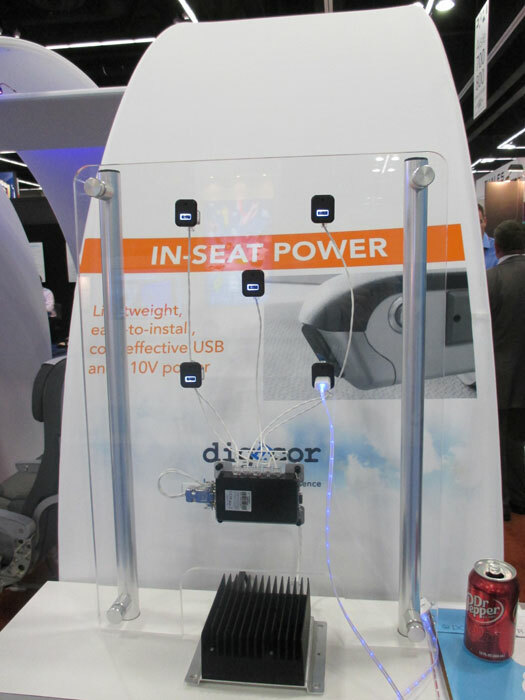 From a power point of view, the folks from Astronics showed up with more of their tray table related products in view while a company called True Blue Power demonstrated a 28VDC power supply that delivered USB 2.1 Amps into a total of 10 USB outlets, also of their design. And what would a show that had lighting be without Olaf Schultz of Schott? 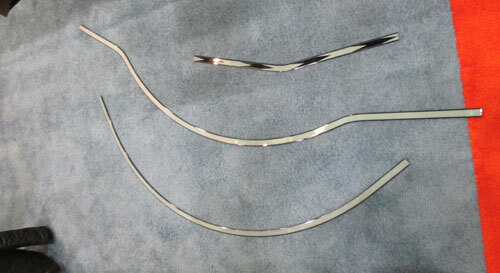 He brought two lighting developments of interest – Heliojet White and Spectrum strips that contain a large number of white or color-capable LED’s, each LED with it’s own color/brightness sensor for balance… not to mention their star dotted ceiling panels the is comprised of a powerful LED light with what appeared to be over 50 individual fiber optic outlet “stars” in the ceiling panel. 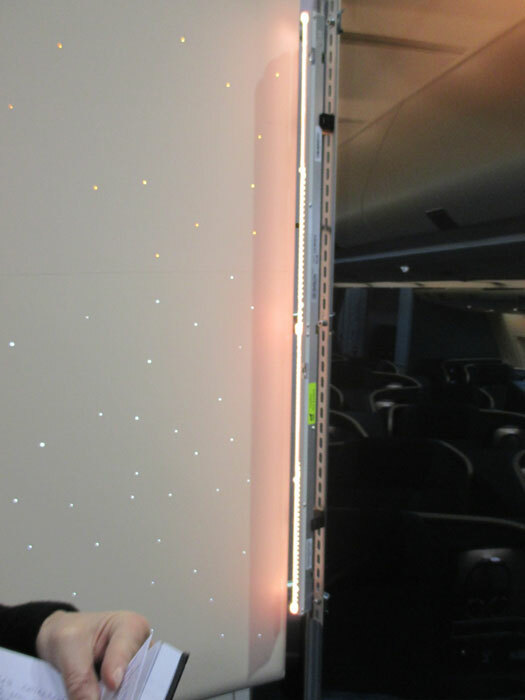 In the same booth, Christian Lierow demonstrated Lufthansa Technik’s reflective lighting solutions. From a color point of view, they easily showed 20 reflective colors and something we had never seen before – curved reflective floor markers. All in all, the show and the speakers were very interesting and a lot of new technology was on display. We were a bit sorry that the expo wasn’t as big as the previous years, but there appeared to be plenty of traffic on the floor. 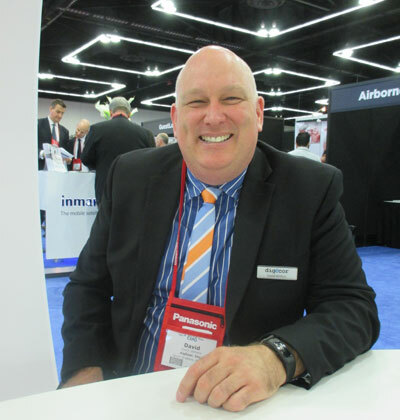 “I was very impressed with the technical know-how of the exhibitors at this years Aircraft Interiors Expo Americas event this week in Seattle. I was able to engage in in-depth discussions with attendees about product details that will definitely help us specify these products in future modification programs,” noted John Courtright. Here is a link to the Aircraft Interiors floor plan for the Seattle event and it should give you an idea about the layout. Check out the floor layout, you will see this concept in the future – it works! Bill Baltra sent us this link to a YouTube video about a flying Gogo 2Ku System running 40 inflight devices – 2Ku Flight testing on N321GG with 40+ streaming video devices. ‬ There will be more on this one. 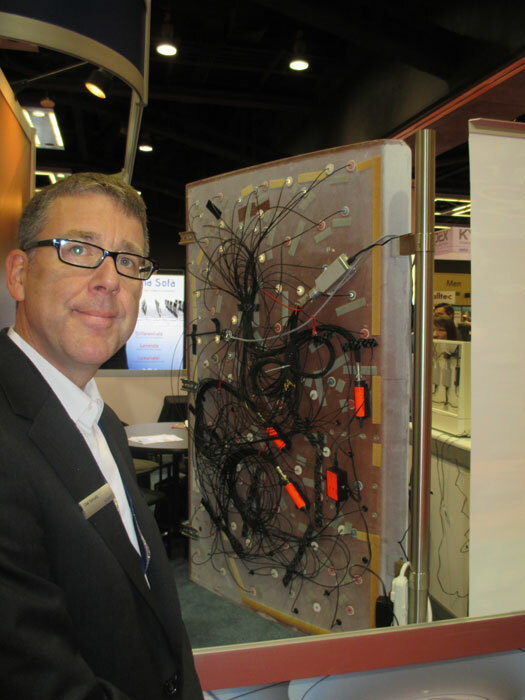 Ron Chapman says: “KONNG will be king of the connectivity solutions,” but you be the judge at NBAA! East Aurora, NY | November 10, 2015– Astronics Corporation (NASDAQ: ATRO), a leading supplier of products to the global aerospace, defense, and semiconductor industries, today reported financial results for the third quarter and nine months ended October 3, 2015. Earnings per share for all periods presented are adjusted for the 3 for 20 (15%) distribution of Class B Stock for shareholders of record on October 8, 2015. Seattle, WA | April 23, 2013/PRNewswire/– Travelers flying on Alaska Airlines starting this fall will enjoy new aircraft seats that feature a personal space-enhancing design and are equipped with power outlets. The airline is also nearing a decision on an enhanced inflight entertainment system that will allow customers to watch movies, television shows and other programming streamed to any Wi-Fi-enabled device. The $100 million project to upgrade the cabins on all of Alaska’s Boeing 737-800, -900 and -900ER aircraft is expected to be finished by the end of 2014. Alaska Airlines became the North America launch customer for the main cabin Recaro seat when the carrier took delivery of its first Boeing 737-900ER in November 2012. The seat’s slimmer design and location of the literature pocket at the top of the seatback enables Alaska to reconfigure its cabins while maintaining the same passenger comfort standards and personal space that are on its aircraft today. Six seats will be added to the airline’s 737-800s and nine seats to its 737-900s. Alaska will be the only U.S. airline to provide power outlets at every seat on its equipped aircraft, which will include nearly three-quarters of the fleet. The outlets, supplying both 110-volt and USB power for tablets and smart phones, will be conveniently located on the seatback in front of each passenger. The inflight entertainment solution under consideration will allow programming to be streamed wirelessly from a server onboard the aircraft to any Wi-Fi-enabled device, including passengers’ own laptops, tablets and smart phones as well as tablets provided by Alaska. After reconfiguring its aircraft, Alaska Airlines’ 737-800s will accommodate 163 passengers (16 in first class and 147 in the main cabin). The carrier’s 737-900s will accommodate 181 passengers (16 in first class and 165 in the main cabin). Its 737-900ERs, which are not being reconfigured with more seats, also accommodate 16 passengers in first class and 165 in the main cabin. Alaska Airlines’ aircraft will provide passengers with the current fleet standard seat pitch of 31 to 32 inches and 3 inches of recline. Editor’s note: High-resolution photographs showing the new seats and power outlets are available for download in the Alaska Airlines Newsroom image gallery at www.alaskaair.com/newsroom. Alaska Airlines, a subsidiary of Alaska Air Group (NYSE: ALK), together with its partner regional airlines, serves 95 cities through an expansive network in Alaska, the Lower 48, Hawaii, Canada and Mexico. Alaska Airlines has ranked “Highest in Customer Satisfaction Among Traditional Network Carriers” in the J.D. Power and Associates North America Airline Satisfaction Study(SM) for five consecutive years from 2008 to 2012. For reservations, visit www.alaskaair.com. For more news and information, visit the Alaska Airlines Newsroom at www.alaskaair.com/newsroom. APEX Annual Conference – A Technical & Innovation Stunner! Seattle, Washington hosted this year’s IFE and content extravaganza and if you didn’t attend we hope to paint a summary picture for our readers in this edition and the next as well. Furthermore, we will cover many of the bigger stories in detail in the forthcoming months. 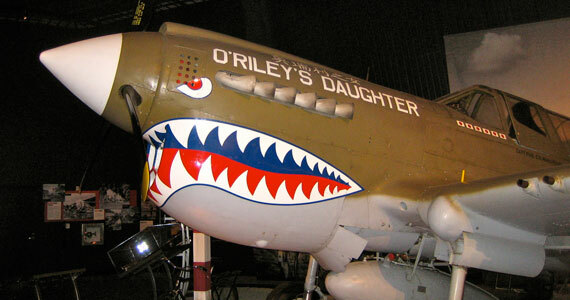 Watch for show pictures on our website via Flickr. Lastly, we want to thank APEX and their management team for a great expo. Boeing, Panasonic, & Astronics for wonderful evening entertainment, and finally, all the vendors who pay for the show. You rock! Speaking of trends, here are a few we noticed: Open Platform Apps, Ka Band Buzz, Connectivity – to satellites and the ground, Distributed cabin Wi-Fi to multiple platforms (iOS, Android and Windows), and Seat-Centric style Entertainment. KID-Systeme is back with a new logo and the next iteration of their seat power box installed in the Recaro economy seat bar. The module contains no fans and airline interest has recharged the system as it provided seat 25 watts for each seat and 150 watts of 110 AC power for portable devices. Rumor has it that they are looking at a big order approaching 100 A/C. Rockwell Collins announced their dPaves 3 IFE system destined for single aisle (and twins too) as an inseat video system. Truly seat oriented, dPaves 3 is an upgrade path from previous editions and features solid state memory. Lufthansa Systems and Virgin America rolled out their single aisle IFE system that features inseat screens/hardware (for Early Window and networked entertainment and TV) and Wi-Fi connectivity (802.11n) to passenger devices via an app. The device features 128GB SSD for content storage and is expected to grow. 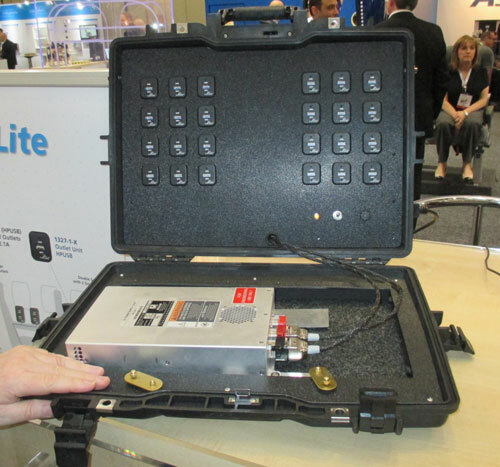 Carlisle showed their newest fiber optic connector dubbed OCTAX for Ethernet and HD video. About the size of your little finger, OCTAX is a quad channel, round F.O. connector that sports a release pin and can deliver 10 gigabits per second, or higher. The Carlisle crew says it will have a home in data loaders, seat-to-seat connections and in IFE backbone deliveries. Here’s a new name, Kontron, and we expect to hear a lot more from them. They acquired AP Avionics (Remember their modems and WAPS?) and we found out they are the hardware manufacturer for Lufthansa Systems new IFE product, Board Connect. Kontron is a German company with sales worldwide and are the builders of industrial computer and imbedded systems. This is an OEM to watch. We were knocked out by the new AIRVOD IFE system. Chosen for 2 Omni Air B-777 aircraft, the system is equipped with a beautiful touchscreen and driven driven by a “lossy line” backbone with “seatcentric” architecture. Did we mention the Terrance Bonar had registered “seatcentric” as a trademarked term years back? When we asked about legal protection, Terrance quipped: “Why, other users of the term are advertising for AIRVOD.” Hmmmm! We should also mention that the Avianor seats used to demonstrate the hardware were beautiful and, surprisingly, they were refurbs. There were too many features of this system to mention here but we will follow up later. Thales showed some beautiful IFE hardware that we will cover in a later article. The displayed a terrific Bucher inseat video arm used in the Thales Integrated Front Row IFE system that can accommodate a video display up to 12.1 in. Dave Pook took IFExpress thru their moving map display program and demonstrated integration with GeoRadio, the audio entertainment software that “tells” viewers about the points of interest below, triggered by GPS data. Of interesting note was Boeing’s cancellation of a live demonstration of the Thales GateSync product. This is a valuable development for aircraft data handling and we are hoping for an eventual update to report to out readers. The TriaGnoSys team rolled out their connectivity development (in conjunction with Siemens) called IFEConneX. 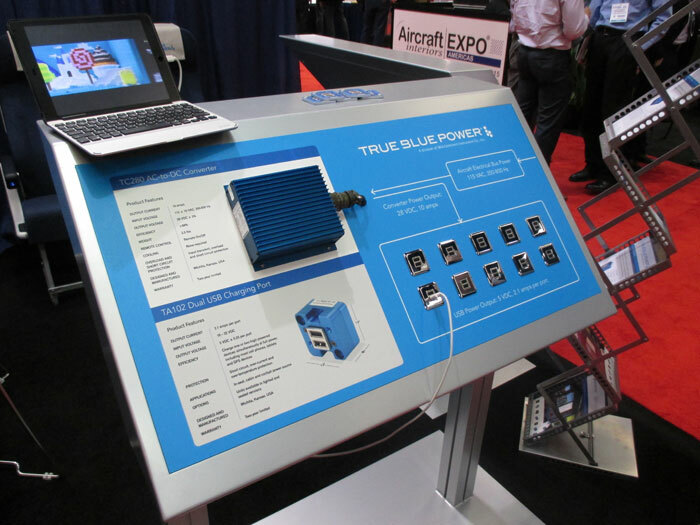 You will hear more about this one box wonder from us but it delivers media content and inflight connectivity to passengers during flights via a ‘leaky line’ technology and looks ideal for non-IFE equipped planes like business jets. By incorporating both connectivity and entertainment in one box. The IMS RAVE and EDGE products were smart and worked like a UI should. We liked the commonality across their product line and how simple and effective the swipe technology is for IFE. By the way, the Samsung Galaxy tablet product for American Airlines looked great. As an aside, John White asked us to mention that the Boeing Museum of Flight in Seattle is construction a new $300 million dollar building at their South Seattle location and have verbally committed to an IFE wing. It seems the museum brass was really impressed with the industry offer of legacy and historic IFE hardware for their museum (The Smithsonian was not!). If you or company wants to donate your historical IFE artifacts please contact John. Bryan Rusenko is now VP IFE Technology & Strategy, Technicolor and they have an interesting automated content service – more later. Al McGowen is back in the Goodrich commercial world as Director, Business Development. We wonder if the United Technologies acquisition is a driver? Patrick Joly of DTI fame is now with Spafax as Director Digital Platforms. When he explained the digital platform convergence that is changing the inflight information content paradigm, we got it. Have him explain it to you – it’s the next thing in IFE communication. Darrel Chua turned up as President of his game development company Enveesoft. His team in China has some very interesting games in development. Tracy DeCuir is back in the IFE space (as if he ever left). Colin Mahoney, New VP Sales, Marketing, and Support, Rockwell Collins Commercial Systems was on hand (He is the new Randy Lincoln). IFExpress should also note that the new IFE PR contact is Josh Baynes. Good News! World renown bon vivant Andre De Greef is back with LiveTV. 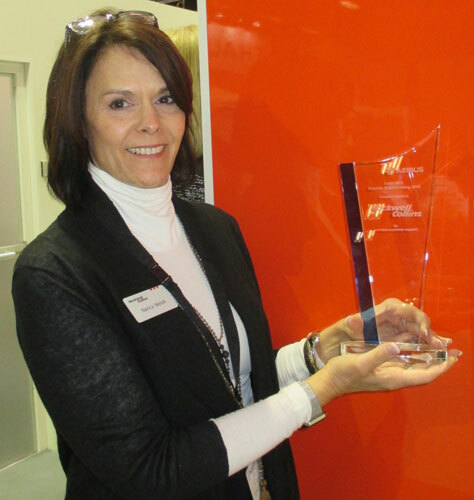 Special recognition from IFExpress goes to Inflight Canada for their espresso stand and rest area. Why special? It seems George Smallhorn and the team was forced to remain in Canada for business reasons and could not attend. Rather than simply give up their booth space, they hired a barista, brought in some comfortable furniture and turned their booth into a rest stop for the weary. Nice touch!